How Far Outside the Legal Mainstream Is Neil Gorsuch? David Cole on Trump’s Supreme Court nominee, Zoë Carpenter on Trump’s actions, and John Nichols on a victory against gerrymandering. 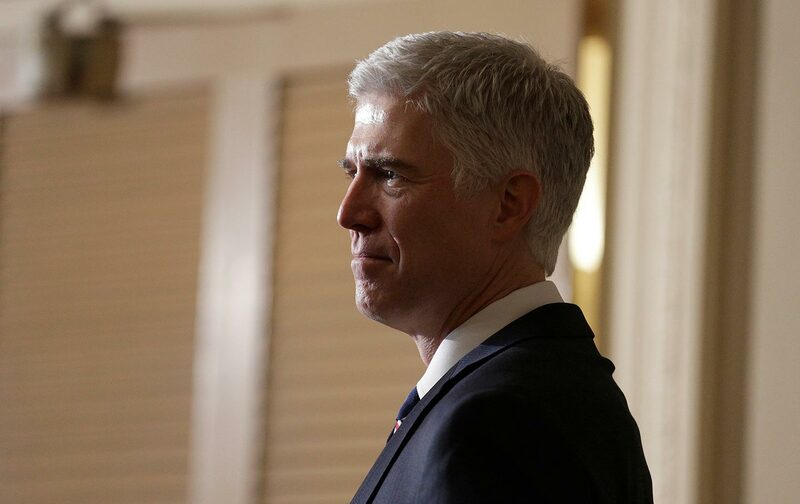 David Cole, the national legal director of the ACLU, discusses Trump’s nomination of Neil Gorsuch to the Supreme Court, and its implications for constitutional rights and liberties in the Trump era and beyond. Cole also says that last weekend’s demonstrations against Trump’s Muslim ban were crucial to the court victories the ACLU has won so far against the executive order. Also, Zoë Carpenter reports on what Trump has actually done in his first days in office, as opposed to what he has tweeted. Plus, John Nichols takes the long view, explaining the significance of recent victories against gerrymandering in Wisconsin.